Richard Polsky provides expert witness services to attorneys handling dog bite cases. • 30+ yrs. 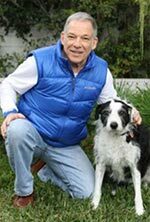 private practice as an animal behaviorist in Los Angeles, CA. The number of occasions retained as an animal behavior expert witness in civil matters: Over 300. The number of occasions retained as a cat behavior expert in civil matters: Approx. 7. The number of occasions retained as a dog behavior expert in criminal matters: Approx. 20. The number of times testifying at trial: Approx. 50. Counties in California where deposition or trial testimony has been given (partial listing): Los Angeles, San Diego, Riverside, Orange, Ventura, Kern, Santa Barbara, San Bernardino, Alameda, Fresno, Merced, Sacramento, San Mateo, Tuolumne. States outside California where deposition or trial testimony has been given: Alabama, Alaska, Arizona, Texas, Nevada, New Jersey, New York, Michigan, Virginia, Florida, Georgia, South Carolina, Kansas, Washington, Idaho, British Columbia, and Ontario Canada. 2008. People v. Moody. Orange County Superior Court (CA), Westminister Division. Attorneys, please contact Dr. Polsky using the contact form on this website. Review Dr. Polsky’s curriculum vitae and read testimonials from attorneys. Dr. Polsky will respond to inquiries sent to his mailbag.